I was recently reviewing another movie from Arc Entertainment that my boys had fallen in love with, when they saw the preview for Justin and the Knights of Valor. They seemed pretty into watching it once released so when the opportunity finally came up, we knew we wanted to review it. Justin and the Knights of Valor was released to DVD from Arc Entertainment on July 22nd, 2014, Arc Entertainment released Freedom Force on DVD! 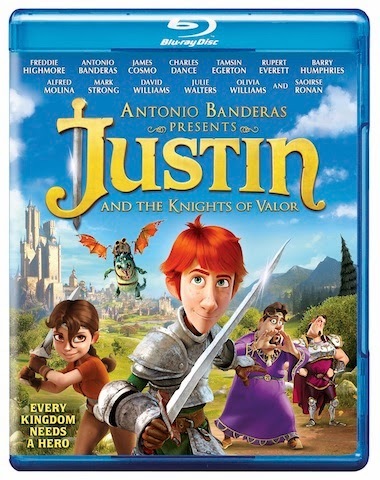 The synopsis says "Young Justin dreams of following in his grandfather Sir Roland’s footsteps and becoming one of the legendary Knights of Valor. Along his quest, he encounters a slew of quirky characters, including the beautiful Talia and handsome Sir Clorex, who try to teach Justin the skills he needs to become a mighty knight. Justin is put to the test when he is forced to face a power-hungry army of thugs, led by the mighty Sota, but soon learns that true strength comes from the heart. From Antonio Banderas comes this wonderfully animated adventure for the whole family, with an outstanding cast of voice talent that includes Freddie Highmore, Rupert Everett, Alfred Molina and Saoirse Ronan." 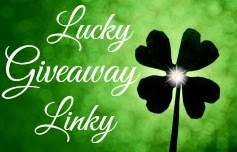 Giveaway: Arc Entertainment is going to give one of A Lucky Ladybug's lucky readers Justin and the Knights of Valor on DVD of their own! Our Kids here go back the third week in August! I think they are ready to go back and be with their friends at school. It will seem quiet around here with them not home!! Yes, I'm excited for them to go back on August 14th. None in school yet. But my grandson would love this movie. The kids around here go back in two weeks. I use to love the first day of school when I was young. My children are all grown and gone from the nest now, and my grandson will not start school for another three years yet. They go back August 20th, excited but I will miss the summer too. I am excited for school to start, they have two weeks of vacation left. The kids in this area go back to school in the last week of August. My grandchild is not old enough for school. My kids return to school on August 25th. Although I like having some free time I will miss having them at home. Schools here go back in mid-August. Our Kids start on Sept. 2nd and I am not excited about school starting I miss them when they are gone all day :) But this year is going to be especially hard for me with my Daughter starting high school. I know she will be gone even more. I know it is the best thing for them to become more independent but I miss when they just wanted to be with me and their Dad.